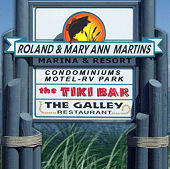 The following hotels are clean, safe and fishermen friendly. There are a good variety of restaurants and lounges near each location, and launch ramps are all within a 10 minute drive. ♦ Both hotels are located at Exit 32 off of I-75.